Life on the back eddy of a ski attracts a revolving cast of characters. 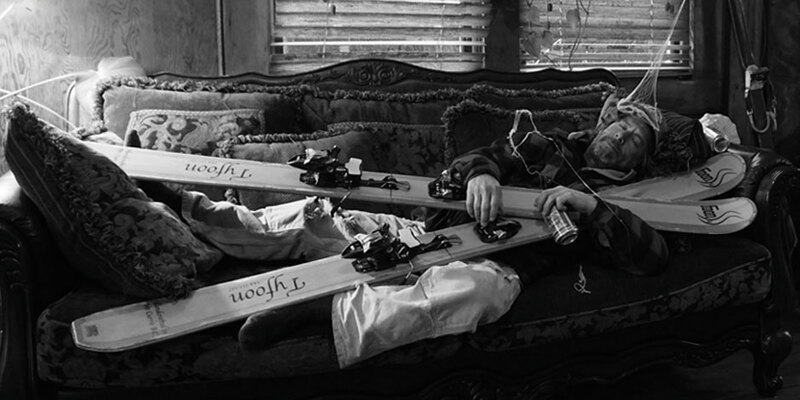 If you live close to a ski hill, the couch surfer is a species you’re intimately familiar with. Much print space has been devoted to the art of couch surfing over the years, but this time I’m the guy with a couch. A good one. I remember being stoked to find it in Too Good to Be Threw, the local charity thrift shop. My partner and I marvelled at its depth, its cushions… we imagined the cozy nights stacked two deep watching a movie by the fire. We didn’t realize it would catch the eye of another creature and turn from asset to liability. It would become a lighthouse indicating a safe harbour for a sectional interloper. There are many different species of couch surfer. The weekender: Not so bad. In and out. What they lack in longevity, they make up for in numbers and frequency. The long weekender: The buddy that drops by for a night but stays for a week… or two. When they leave, your recycling and bottle return is full and your (now-legal) smokeable cabinet is empty. The tree planter: Everyone knows that tree planters are consummate dirtbags that travel in packs. Seemingly harmless at first, they send the thin edge of the wedge in to secure a spot. Then comes a motorhome in the driveway. Then a battalion-sized pot of lentils soaking in the fridge, followed by a pack of dogs in the yard or showering in your tub. Next you have a drum circle in the living room and a hippy sleeping on every flat surface. More rare are the veterans of couch surfing. The seasoned pros. You don’t even know you’ve been couch surfed until later… sometimes months in. I came across these animals that studied at the feet of the original dirtbagger himself, Fred Becky. With names like Bellows, Thrash, Jungen, and Duffy, they come stealthily in the night, betrayed only by the light jingle of their climbing gear and the errant can of Pilsner being opened. Steeled by years of car camping in Squamish, table-diving for a leftover morsel on an abandoned cafeteria tray, sleeping on porches or in the smoky shack deep in the Chamonix forest, the couch beckons like a siren song of warmth and lushness. They start in the garden under low-lying tree boughs, but as the weather turns, so does their strategy. Unlike other sofa-surfing species, their modus operandi is to be neither seen nor heard. Just helpful enough, they sweep floors and earn another week. The fridge never runs out of coffee cream. There’s never a dish in the sink. The tap and roof magically stop leaking, and your laundry does itself. Bottles are recycled. Christmas and birthday cards write themselves. Thoughtful calls to your family are made. Eventually you’re left out of the annual family picnic. Then one day, without warning, your house key no longer works. They’ve assumed your complete identity and have the mail and laundry to prove it. Now homeless and adrift, it’s time to start looking for a couch of your own to surf. But just for the weekend, tops.